During Easter week we will be operating under a reduced timetable. If you are interested in taking a free level test or signing up for one of our courses, you can pop in from 16 to 20h. (No appointments necessary). 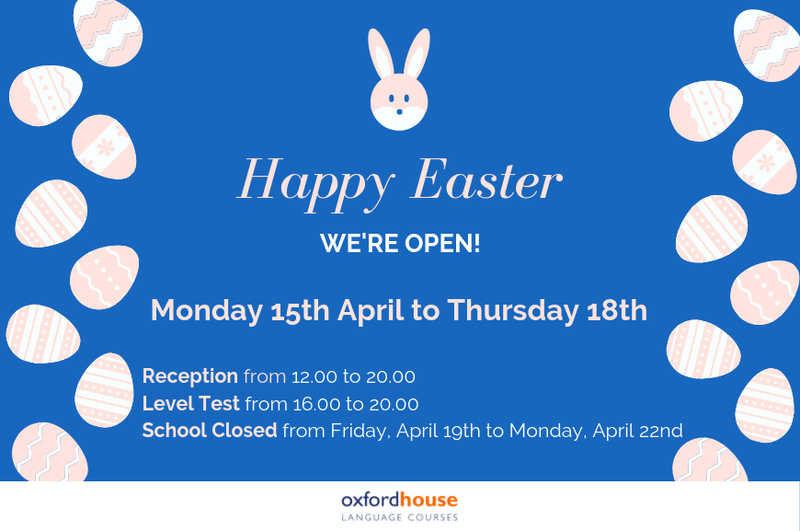 Everyone at Oxford House would like to wish you a Happy Easter! We look forward to seeing you again in April!